I express gratitude for our senior missionaries. They are young in spirit, wise, and willing to work. 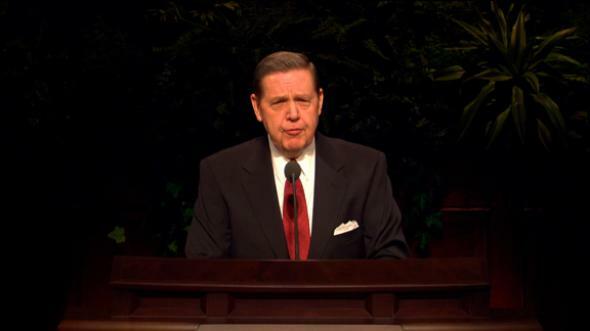 Gratefully we welcome Elder Dieter F. Uchtdorf and Elder David A. Bednar to the Quorum of the Twelve Apostles. Prayerfully and unitedly we will serve the Lord Jesus Christ. Assignments this year have taken me to many nations of the earth. In some of those countries, the Church is relatively new. No matter where I go, I meet our missionaries. They are remarkably resilient and ever effective. They give visible and tangible evidence that the Church of Jesus Christ has been restored in its fulness. It was He who said, “Go ye into all the world, and preach the gospel to every creature.”1 This commandment throbs in the heart of every missionary who testifies of Jesus Christ and teaches His message. Such marvelous couples are engaged in the work of reclaiming souls who have previously made covenants to take upon themselves the name of Jesus Christ. Courageous and caring couples like Elder and Sister Willits enable and enrich the work done in many of our temples across the earth. Some, such as the Accra Ghana Temple, are located where most local members had not had previous opportunities to attend a temple. Ordinances for those members are now enhanced by experienced couples who serve as temple missionaries. To them, we also express our heartfelt gratitude. Earlier this year Elder Douglas L. Callister and I were in Kiev, capital city of Ukraine. We were there to create the first stake in the former Union of Soviet Socialist Republics. We were pleased to note that the Kiev Ukraine District was well prepared to become a stake—fully organized and ready to take its place among the stakes of Zion. There we also met with the missionaries, among whom were several stalwart senior couples. We listened attentively to their expressions. 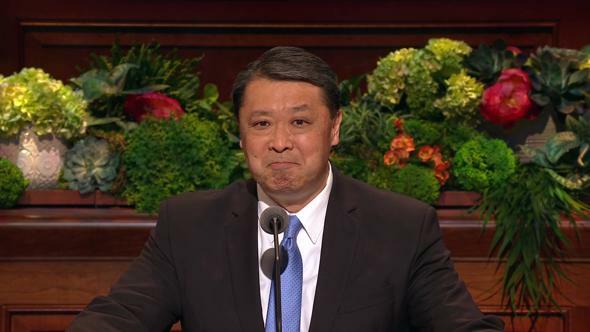 No senior missionary finds it convenient to leave. Neither did Joseph or Brigham or John or Wilford. They had children and grandchildren too. They loved their families not one whit less, but they also loved the Lord and wanted to serve Him. Someday we may meet these stalwarts who helped to establish this dispensation. Then will we rejoice that we did not seek the shadows when a call to missionary service came from the prophet, even in the autumn years of our lives. “O ye that embark in the service of God, see that ye serve him with all your heart, might, mind and strength, that ye may stand blameless before God at the last day. As I extol the work of senior missionaries, I realize that there are many more who would like to serve but are not able to do so. Limitations imposed by age or by poor health deserve realistic appraisal, as do the important needs of family members. When desire burns within yet such limitations exist, you can extend your service through others. They can be your arms and legs, and you can provide needed funds. Still others can contribute time and talents as live-at-home missionaries.16 Each will be pleasing to the Lord, and each will receive His praise. “This is the gospel which I have given unto you—that I came into the world to do the will of my Father, because my Father sent me. 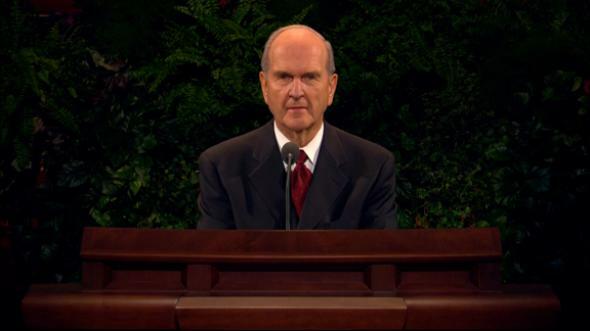 The Savior’s mortal mission we know as the Atonement. 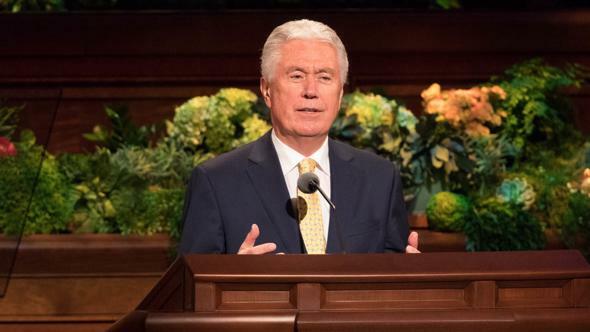 The Savior’s mortal ministry includes everything else that He did—His teachings, expressions of love, attention to ordinances, patterns of prayer, perseverance, and more. He lived to be our Exemplar, which He also equated to the gospel in His ministerial statement. “This is my gospel,” He said, “… for the works which ye have seen me do that shall ye also do.”19 Thus, faith; repentance; baptism by water, fire, and of the Holy Ghost; the gathering of the elect; and enduring to the end are all part of the gospel.20 All of us can emulate the Lord’s example, regardless of age, status, or location. As one among the “special witnesses of the name of Christ in all the world,”21 I declare that He is the Son of the living God, our atoning Savior and Redeemer. This is His Church, restored in these latter days to fulfill its divine destiny. 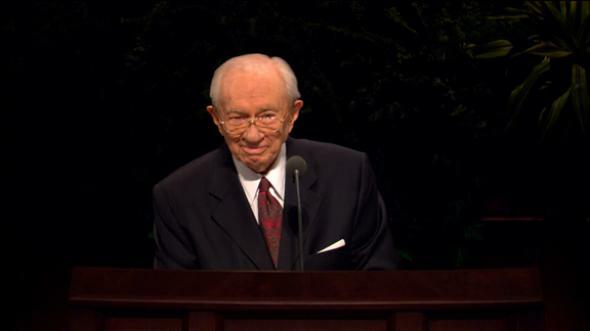 His prophet today is President Gordon B. Hinckley. I so testify in the name of Jesus Christ, amen. Mark 16:15; see also Matt. 28:19; Morm. 9:22; D&C 42:58; D&C 68:8; D&C 80:1; D&C 84:62; D&C 112:28. 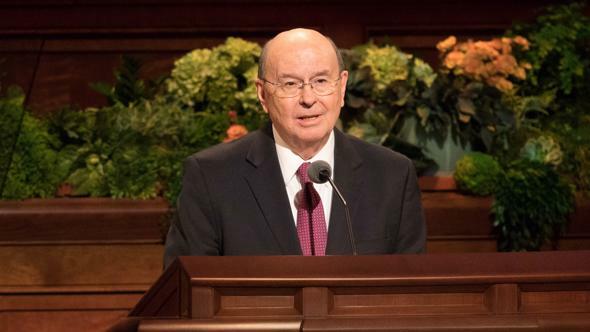 For example, see Gordon B. Hinckley, “There Must Be Messengers,” Ensign, Oct. 1987, 2–5; see also L. Tom Perry, “Go Ye Therefore, and Teach All Nations,” Ensign, May 1984, 78–80; M. Russell Ballard, “Missionary Couples,” Tambuli, May 1990, 16–21; Ensign, June 1988, 8–12; Robert D. Hales, “Couple Missionaries: A Time to Serve,” Liahona, July 2001, 28–31; Ensign, May 2001, 25–27. See “Serving as Couple Missionaries,” Ensign, Sept. 1997, 15. 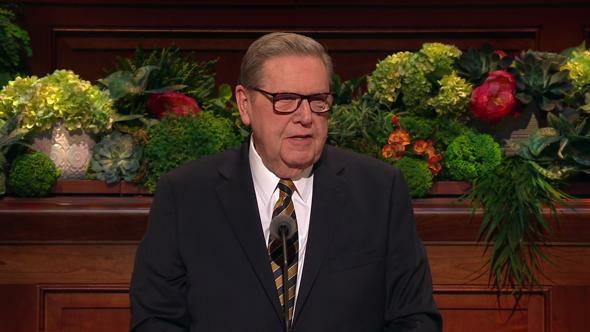 Concerns pertaining to a mission may be considered in four categories:(1) Finances: Any expenses over and beyond what would have been needed at home may be subsidized by children, friends, quorums, or by other members of the family. (2) Fear: Mature missionaries need not fear tracting or learning a new language. Much can be contributed using talents already acquired. Missionaries can venture into another language situation knowing that they will learn what they need to know without demanding fluency of themselves. They will learn some of their mission language and find joy in using each new expression. (3) Fitness: While a risk-free environment cannot be guaranteed either at home or in the mission field, appropriate provisions can be made for proper diet and exercise. Routine needs for physical care can generally be met in the mission field. In the event of an emergency, evacuation, if advisable, is possible. (4) Families: Children and grandchildren of senior missionaries will be blessed because of their service. To a missionary the Lord provided this promise: “Behold, you have had many afflictions because of your family; nevertheless, I will bless you and your family, yea, your little ones; and the day cometh that they will believe and know the truth and be one with you in my church” (D&C 31:2). As those “little ones” pray for their missionary parents, they will be drawn toward the Lord as well as to parents or grandparents. Personal letter, dated 29 June 2004. Personal letter, received 28 June 2004. Personal letter, received 1 July 2004. Letter addressed to Elder Dallin H. Oaks from Dr. Brent and Carol Petersen, dated 27 June 2004. In Conference Report, Oct. 1925, 10. 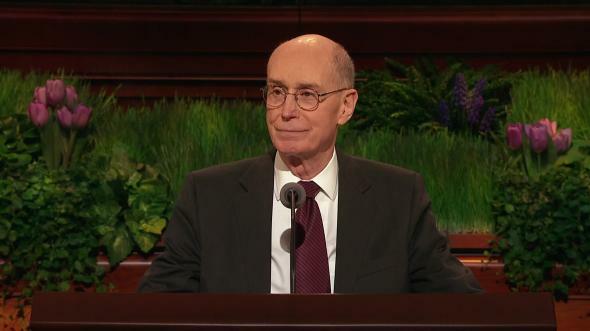 “To the Bishops of the Church,” Worldwide Leadership Training Meeting, 19 June 2004, 27; see also “Excerpts from Recent Addresses of President Gordon B. Hinckley,” Ensign, Apr. 1996, 72. Categories include leadership and member work; family history and temple service; medical, humanitarian, and welfare services; working at visitors’ centers, for public affairs, on an area or mission office staff, with finance and records, with physical facilities, for the Church Educational System, with the Perpetual Education Fund, or in support of other educational endeavors. Other opportunities are available to suit the unique abilities possessed by prospective missionaries. See Giles H. Florence Jr., “So Many Kinds of Missions,” Ensign, Feb. 1990, 6–11. 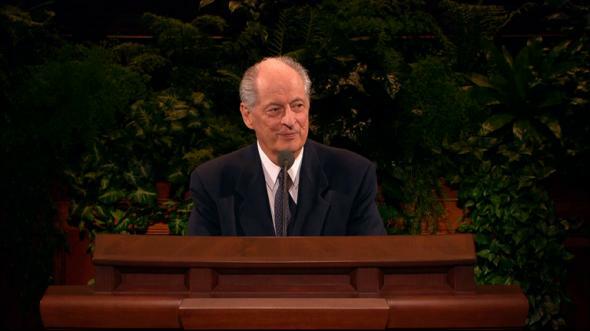 For details regarding qualification and preparation for senior missionaries, see David B. Haight, “Couple Missionaries—‘A Wonderful Resource,’” Liahona, Oct. 1997, 26–33; Ensign, Feb. 1996, 6–12; Vaughn J. Featherstone, “Couple Missionaries: ‘Too Wonderful for Me,’” Ensign, Sept. 1998, 14–17; “There Is Work for Us to Do,” Ensign, Oct. 1993, 36–41; “The Impact of Couple Missionaries,” Ensign, Apr. 2003, 60–63; John L. Hart, “Working Miracles in Mission Field,” Church News, 22 Dec. 1990, 3, 7. Additional information can be found on the Church Web site www.lds.org under “Service Opportunities for Senior Missionaries” (click on “Other Resources” on the home page, then on “Church-Service Missionary Opportunities”). See Bible Dictionary, “Gospels,” 682–83. See D&C 33:6–12; D&C 39:6.